Sculptural and elegant, this flat profile men's wedding ring is a deceptively simple. 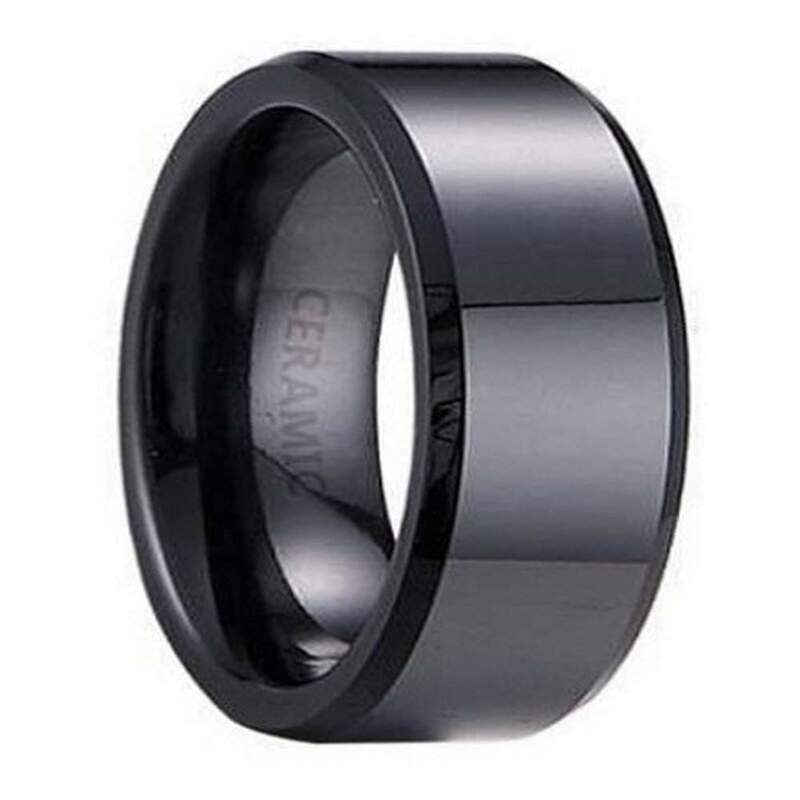 Beveled edges and a comfort-fit interior give give this men's ceramic wedding band a designer look. A gorgeous and glossy 7mm ring! Comfort fit rings usually measure 1/2 size smaller due to the additional metal inside the ring. We recommend having your finger measured for a comfort fit ring at your local jewelry store. I bought this ring to purpose with and it was excellent. Better than I thought it would be! Worth every penny and more. Thank you! I will be back! I bought ring to surprise my husband with a new wedding band for Father's Day and he loves it. Shipment came in time span given and the ring was secured in package. The ring was a little lighter than the picture, but we both are pleased with the product! I bought this ring a few weeks ago and couldnt be happier with it. I get many compliments on it. Everyone wants to know what it is made of. The sleek ceramic design is distinctive and modern. Great ring. This ring is what i've been looking for. It fits good & looks good. I'm very pleased.